If, however, you have a tiny child in your life and you’re looking for a way to sing them the Easter story, and don’t mind high levels of cheese, then you’re in the right place. I think there’s a lack of really simple Easter songs for preschoolers and, while I know a few general worship songs which are simple enough and appropriate for Easter (Lord I lift your name on high, I’m special, Thank you Jesus…), I’ve really missed having something I could sing over and over with my kids – something which would build up to Easter like the singing of Christmas carols does during Advent. Whilst I’ve been bemoaning the lack of pre-school Easter songs, Mister has been re-visiting ‘Jingle Bells’, piping up at any and every opportunity. Ironic? Maybe. Or perhaps he too feels a need to express musically a festival he is coming to understand as significant. 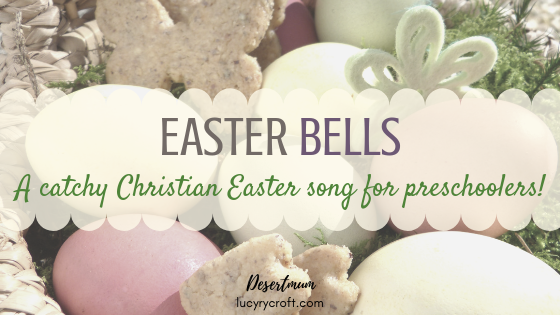 So here is my Easter version, creatively titled “Easter Bells”, to the same tune, which I crafted on the way back from church this morning. I have a feeling we might be singing this a lot over the weekend. 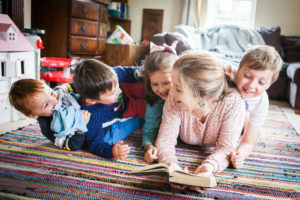 Do feel free to try out with your children – but please forgive the cheese. Will look it up…cheers for the recommendation! Haha, knew you’d love it, you Queen of Cheese! You should try and write some more kids songs like that? It’s quick. Catchy. And really carries the message across. Cheers Andy! Oh there’s more…far more…where that came from. I am an unending supply of kids’ cheese. Haven’t Sophie and Jenny sung you the Jesus Hokey Cokey yet? !